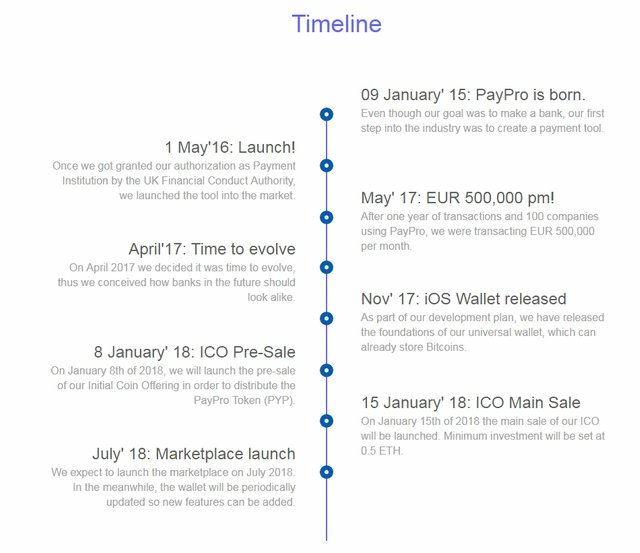 'PayPro (PYP)' The 1st decentralised finanacial marketplacesteemCreated with Sketch. PayPro is the 1st financial marketplace as a Decentralized Application (dApp) will be able to offer its services. Since the emergence blockchain, Smart contracts are being adopted in many aspects of our daily life. It is going to revamp not only all the existing structures of our current financial transactions but the entire Eco-system of our life. Everything looks to be on the way to decentralization; such as computer power, trading or insuring and also banking. There is already a rush to be able to integrate blockchian technology into different aspect of financial need. 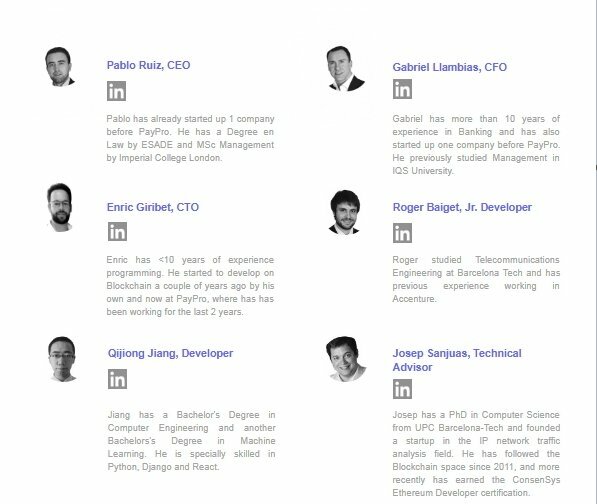 PayPro aspire be the pioneer and front runner into financial marketplace as DAO.  PYP will be the main currency.  PYP will be the only currency enabled to pay fees.  Payment to allow user’s existing-funds to PYP tokens automatically every time the user need to pay fees. 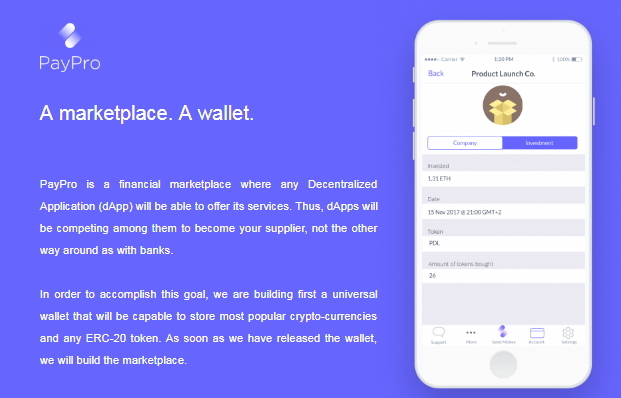 • Wallet will be capable of storing all crypto assets ranging from BTC, ETH, ERC-20 tokens and GAS to Currencies, loans, stocks or other investments. • PayPro can be used as marketplace for investing in a crowd funding. • In future companies might want to issue shares in form of tokens which can be stored at PayPro. • PayPro’s marketplace will be built as decentralized autonomous organization.  zPYP is value based currency allocated as a way of rewarding within dapps and Users, which will have fixed rate of 1usd. Also can be exchanged later to PYP. What is dAPP and how it is integrated into PayPro? According to David Johnston, a Dapp must meet those criteria. be controlled by an entity. Also, proposed improvements and market feedback may be adapted in the protocol. PayPro’s marketplace has both internal capital and takes decisions by his own. Limits: 20,000 ETH (Hard Cap) or EUR 5,000,000.00 depending on the exchange rate. Nationality: Anyone except Singapore, Estonia and the US due to legal restrictions or countries trade sanctioned by the US.